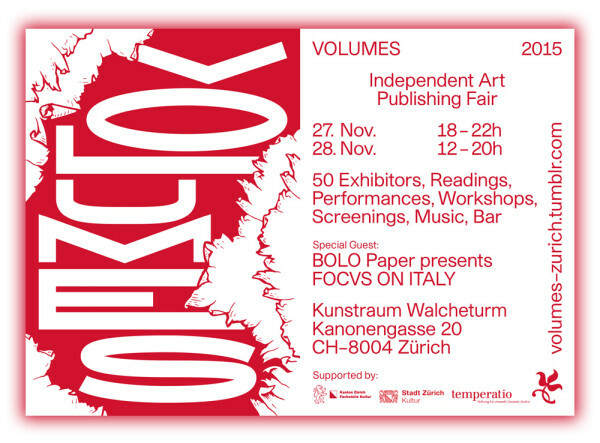 Toupée will be participating at this year’s Volumes Independent Art Book Fair in Zurich! The fair runs from the 27th-28th of November. Please come and say hi!